Jimmy Pitaro, ESPN president and Disney Media Networks co-chair, is pleased with the performance of ESPN+ to date as the product continues to evolve with additional content offerings, including 200 college football games, 70 of which will be delivered via ESPN+ in the first three weeks of the season. 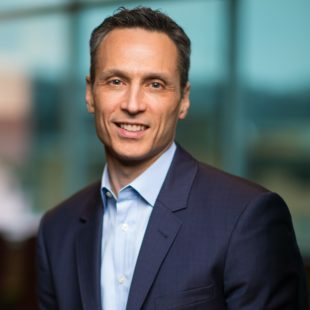 Jimmy Pitaro says he is happy with the conversion rate of ESPN+ subscribers from free to paid. Pitaro says that college football is an important component of the ESPN+ content strategy. The key, he adds, is to use ESPN+ to serve all college football fans. ESPN+ has two subscription models, either $5 per month or $50 for the whole year. The service includes live MLB, NHL, NBA, and MLS games, as well as PGA golf, Top Rank Boxing, and Grand Slam Tennis matches. Other sports include the United Soccer League, cricket, rugby, Canadian Football League, English Football League, and UEFA Nations League games. The technology side is being handled by an integrated team that includes ESPN and BamTech. A reorganization in March more closely aligned the ESPN and BamTech technical side, a step that ensures both entities are closely aligned on the priority of making ESPN+ a success. Meanwhile a reorganized sales team is focused on rights and programming and that team has been busy. On August 7 they nailed down a deal for the Italian Serie A football league that will include more 340 matches delivered via ESPN+. August 13 saw the announcement of ESPN+ carrying as many as 140 matches from Australia’s Hyundai A-League and Westfield W-League; 60 from the Chinese Super League; and 102 regular season Eredivisie matches (three per week, August through May). And on August 15 a deal was announced to bring 79 Emirates FA Cup matches as well as highlights and review shows from the UK to ESPN+. Connor Schell, ESPN, EVP, Content, added that original non-fiction programming will be an important part of the ESPN+ path to the future.